Deb and Toby Aaron, owners of The Wickford Collection in Rhode Island (RI) are also experts in interior and exterior design. 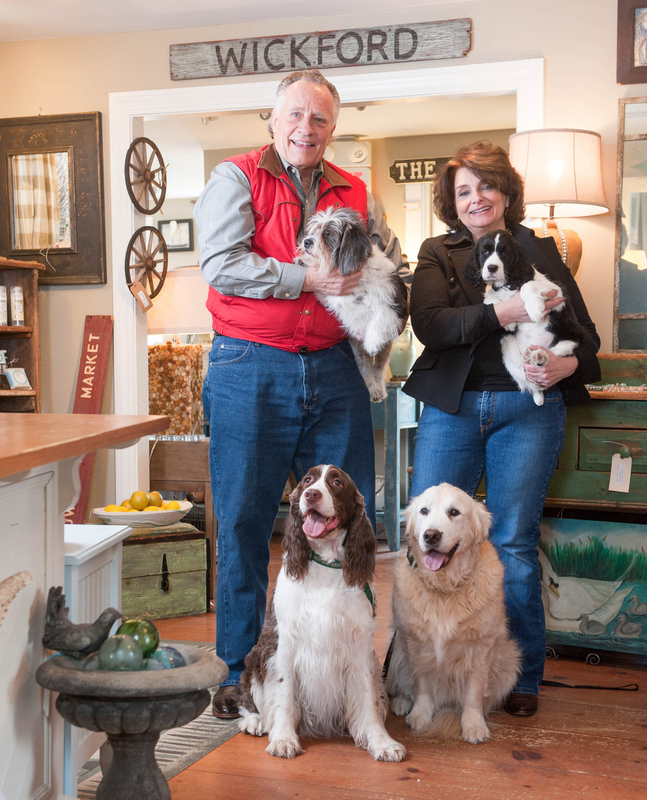 For Toby and Deb Aaron, it all began in a small store by the sea. The two first met in the mid 1990s at Deb’s shop when Toby was vacationing in Nantucket. It took nearly two decades of circling around each other for the two to reconnect and start to build their life together and find a home to call their own. As fate would have it, that “home” would be in a similar small store by the sea, except this time in Rhode Island’s Wickford Village, where they quickly found their niche. Deb boasts a lifetime of experience in home and interior design, fulfilling her passion of truly helping others make their houses feel like a home. Soon after moving to Wickford, Deb happened upon a homey storefront in the heart of the village. The shop’s coastal village atmosphere and location perfectly fit Deb’s vision for a seaside store, where she could sell home furnishing and provide design services just like she had in Nantucket when she first met Toby. While the store’s interior inspired Deb’s vision for the future, Toby found his inspiration outside in the store’s backyard. Before Toby’s years of working trade shows and organizing large-scale events (including inaugural balls for the president), he spent much of his childhood and adolescence learning masonry, carpentry, landscaping, and other hands-on skills where he could “create something.” To complement the aesthetics Deb crafted within the store, Toby began “creating” the picturesque backyard, where the two would actually hold their wedding ceremony against the backdrop of Wickford Harbor. Though the pair is jokingly referred to as “Mrs. Inside and Mr. Outside” by friends and clients, it’s that blend of both worlds that has resulted in their ultimate concept – The Wickford Collection. A place where interior and exterior design meld to fulfill the entire need of a homeowner looking to create the perfect space.